Add even more reptiles to your party with these reptile related toys! 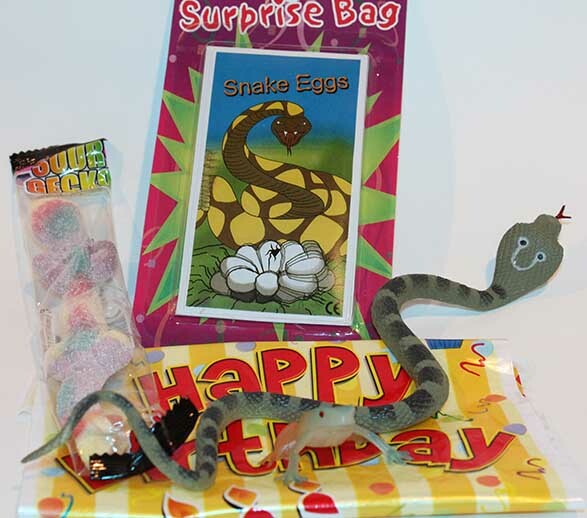 Our toy store features great reptile gifts for the birthday child, as well as fantastic ideas for loot bags or activities to add to the party. 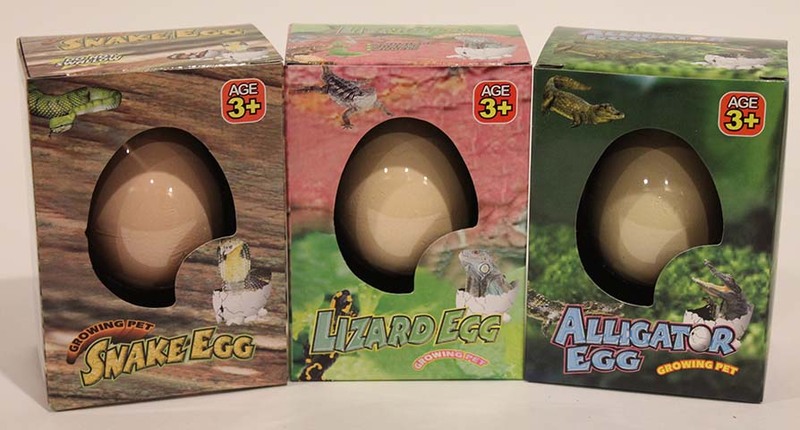 Businesses & groups – add something special to your reptile presentation at your day camps, children’s parties or groups by sending them home with a reptile present. Please download and print the Order Form, then fill out your order from the selection below and submit it to us. We offer goody bags!! Goody bags include one medium and one small rubber toy, rattlesnake eggs, an activity sheet, a gummy reptile candy, and two wrapped hard candies pre-packed in a goody bag for $5.25 per child. You can also add a larger toy or 4x6 photo to your goody bag, please ask about special goody bag pricing for additional items when included with a goody bag. These wooden creatures move like real reptiles! So real it’s scary! Take home your very own snake! Hold it by the tail and watch it wiggle and slither just like a real one! Some of our most popular options! Put these toys in water and watch them grow huge! Place your egg in a container of water and watch the eggshell break and your new pet slowly creep out of the shell. Creature will be fully grown after 48 hours. Choose from lizards, snakes, turtles and alligators. Please specify if you want assorted or specific eggs. Place this 12" cobra in water and watch it increase in size. Fully grown it will be 60" long! Watch it shrink and regrow again! This colourful constrictor can grow up to 600% its original size! These lizards start off at 12” long before they grow! Place them in water and watch as they grow to an amazing 36” in length! These soft toys are great for all ages! 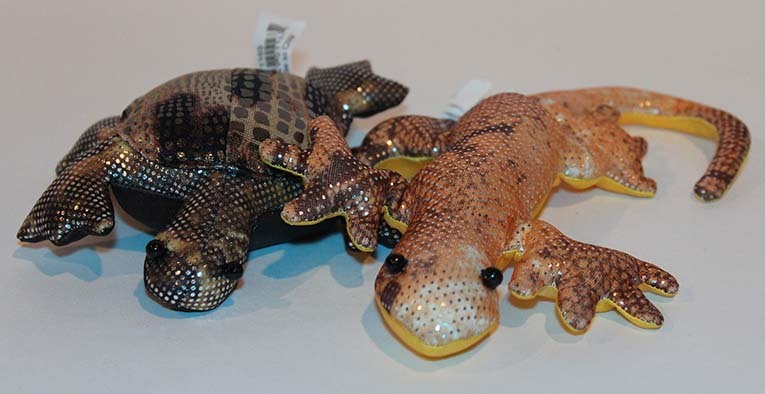 These lizards and turtles are the perfect goodie bag stuffer. Affordable, fun, and pretty darn cute. These beautiful sand filled fabric snakes, frogs and lizards are durable and will be a long time reptile friend. Available in assorted only. These unique toys have a fun texture and are great to play with and stretch and squeeze! These turtles and tortoises come with a plastic shell and a soft, stretchy body. The ultimate toy for the turtle fan! One of our most popular items! These colourful geckos stretch and squish. 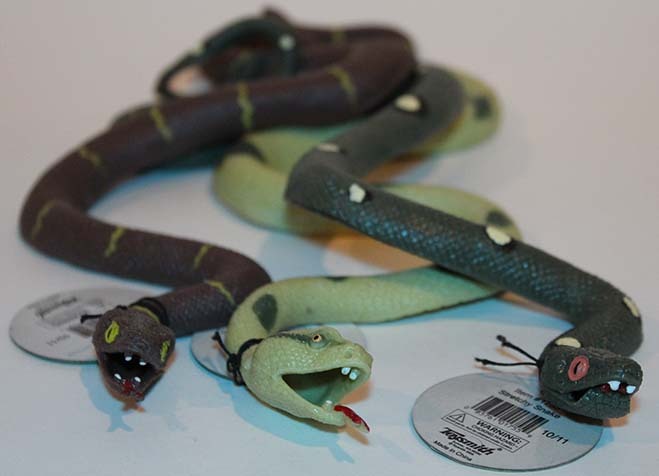 These lifelike snakes feature lifelike patterns. Like having a real snake! 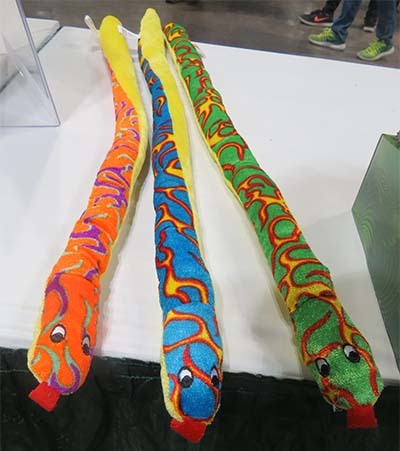 These brightly coloured plush snakes are sure to be a friend of your child or guests for a long time. Available in orange, green, or blue these non-scary plush serpents are a great gift. 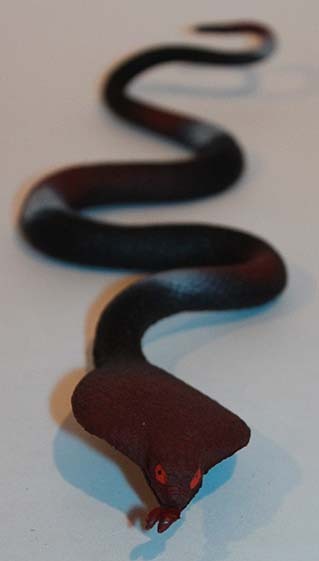 These 6' rubber snakes uncoil to over three feet! 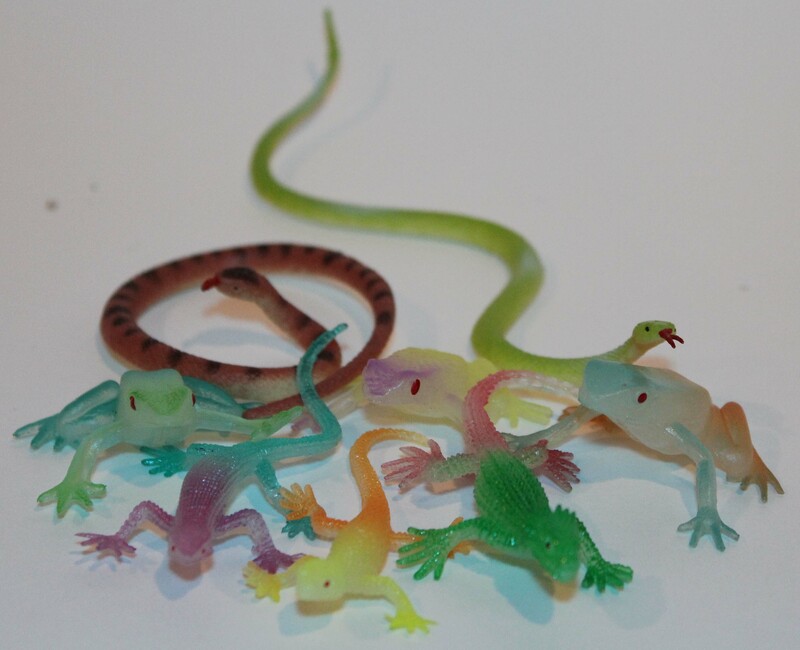 Snakes, lizards and stretchy geckos – a great addition to your goody bags! Wind up the toy inside and freak out friends and family! They're hatching inside!!! A fun gag gift. To order toys please download this form and submit it, or phone in your request. Toys will be brought to your party and given to you prior to the start of the show. You will only be charged for the toys actually given out at the party, if kids are unable to attend you do not pay for their toys! You will be advised if any items are unavailable or out of stock. For best availability please request at least 2 weeks prior to your party. We will try our best to fulfill any requests we receive with shorter notice.